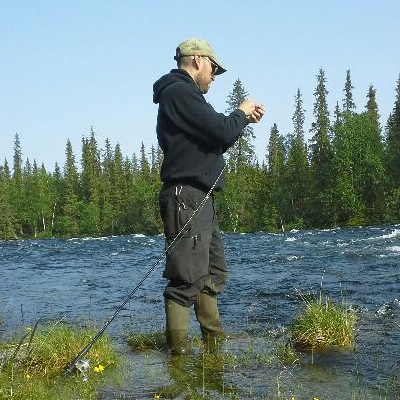 I grew up fishing in Duortnoseatnu, the Torne river. The fish most commonly caught is grayling, with trout being slightly more coveted. Arctic char is also common in the area, but mostly for logistical reasons we did not go for those. I like fishing in late autumn the most, when the water is low and clear and I can see the fish as they dart up from the bottom to nab the lure. I lost interest in most outdoor activities in my late teens, but around the time I turned 30 I felt the urge to pick it up again. These days I use it mostly as an excuse to get out in the woods, and also to spend time with members of my family who enjoy fishing a lot more than I do. 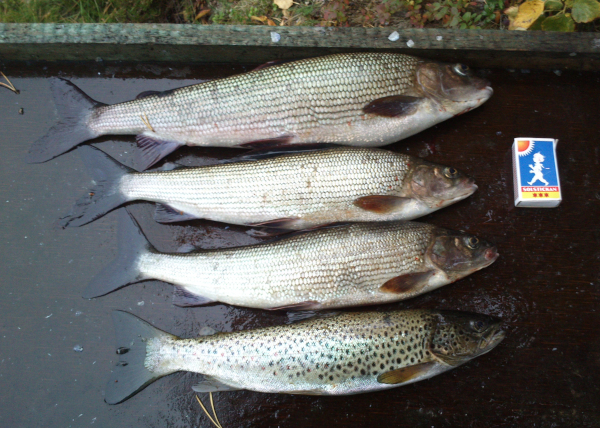 Three graylings and a trout, matchbox for scale. I try to catch only what I intend to eat. I take no delight in killing, it leaves me with some regret. However, I have no deep-running moral quandaries about it - the fish are predators as well, so they know the deal. Growing up in a remote area with clean water left me kind of picky what fish are fit for food. I currently live in southern Sweden, where there is mostly just pike and perch, none of which I eat, so fishing opportunities are somewhat limited. I'm not a fan of put & take (where fish are farmed elsewhere, then planted as adults into lakes at regular intervals), as these spots are usually quite crowded and the fish tastes pretty bad. I don't have very fancy equipment. I mostly use an 8" rod with a spinning or spincast reel, 0.30 mm line. I prefer casting with my right hand, but also reeling in with my right hand, so I have the crank handle swapped to the left side. This doesn't work well with all reels, as the handle sometimes unwinds itself. 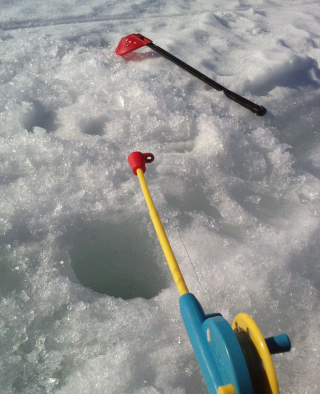 Ice fishing can be interesting, but I don't do it very often. I use almost exclusively spinner lures, size 1-3 (about 4-5 grams); in strong current anything heavier will get stuck between rocks. I find spoon lures to be a bit unpredictable and not perform as well. My brother prefers wobblers. Spinners are not ideal for the still lakes in the south, but it is what I'm used to. Fishing with floating bait feels too passive to me. I haven't made any serious attempt at fly fishing, but I know the basics of fly tying. However, this seems to have limited practical application and mostly like a way to prolong the hobby off-season (and I already have plenty of other things to do at home). fishing.php was last modified on 2018-12-29 and should be valid XHTML 1.0 Strict.